When building a new house or doing an extensive remodel, it’s important for property owners to invest in energy efficiency. The U.S. Government notes that ENERGY STAR-certified homes use 15 to 30 percent less energy than houses of comparable size. If you are adding or remodeling an existing home, one of your first steps should be a home energy assessment to achieve energy efficiency. The planning process is the ideal time to look into systems such as electricity, water heating, and space heating and cooling. By taking this whole-house approach and working closely with your contractor to choose building materials and methods, your home can achieve an ENERGY STAR rating for efficiency. The whole-house approach takes into consideration many different variables that affect energy usage in your home, including the behavior of the occupants, local climate and side conditions. The first step toward getting your home an ENERGY STAR rating is finding a contractor who is committed to constructing and verifying homes to meet ENERGY STAR’s strict efficiency requirements. Your contractor will select a home energy rater who will certify your home upon renovation or completion. Architectural plans developed by your contractor are submitted to the home energy rater for analysis. The rater will look for crucial information to help you choose energy-efficient features to ensure that your home will receive the ENERGY STAR label. Ultra-efficient homes use state-of-the-art, energy-efficient construction to achieve ENERGY STAR status. Consider using advanced house framing that reduces lumber consumption, cool roofs to reflect more light and absorb less heat, and passive solar home design for best results. 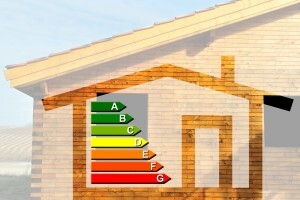 Improve your energy efficiency rating to save money and make a positive impact on the planet. Working with experienced contractors and home energy raters will help you achieve an ENERGY STAR-certified status for your home. For more information on energy ratings, contact USI online to find a branch near you. USI believes in excellence in every step of the process and ensures timely completion and quality of service, time after time. How to Reduce Energy Use In the Typical Home?